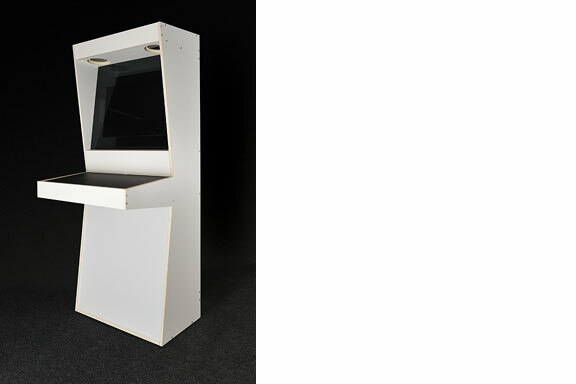 By the end of January 2013, Dutch Dame Garden asked me for a new series of arcade cabinets. 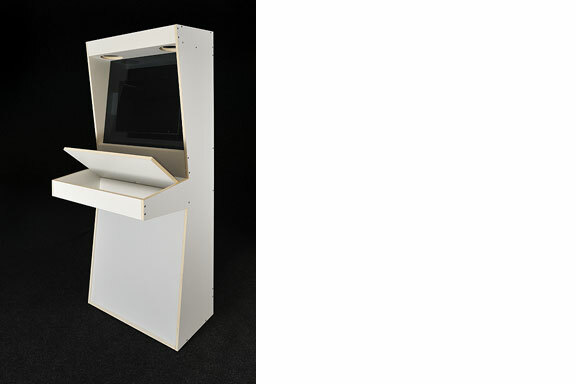 They had to be finished within 1.5 month, to have it shipped to the Game Developer Conference in San Francisco from March 25th-29th. They wanted a new design with their beloved silhouette. 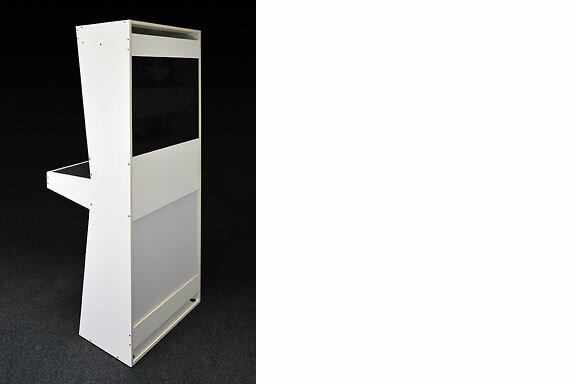 The new version should be easier to carry, transportable as flat pack and when possible a lot cheaper. 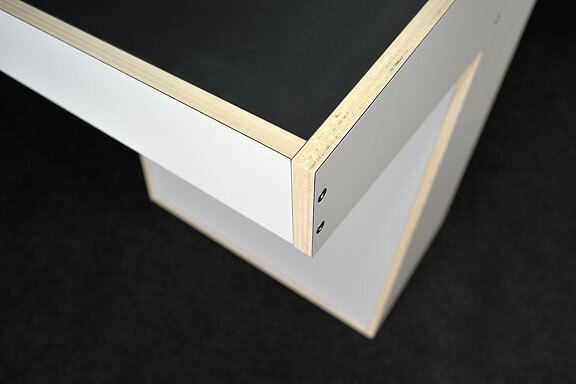 The new cabinet can be assembled DIY with a standard 4mm hex wrench, just like IKEA furniture. 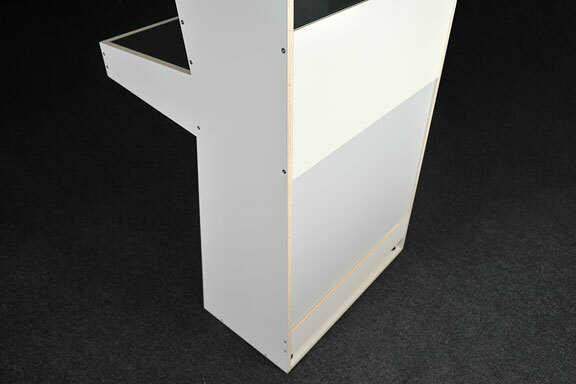 De parts are made from white laminated poplar plywood for light weight and nice finish. 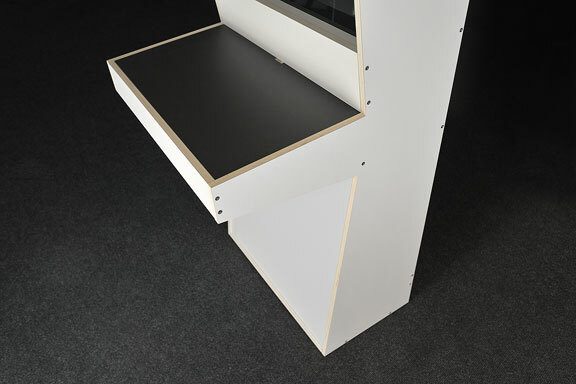 At the top the cabinet holds 2 smoked plexi sheets to protect both screens at the front and the back. 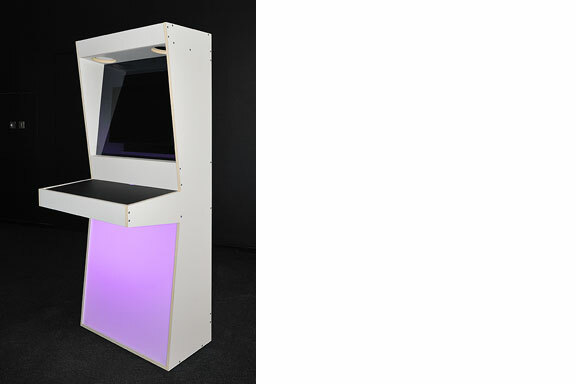 The Dutch Game Garden wants games to be visible on two sides for their Indigo shows. It allows a more passive group of visitors to just look at the games being played. 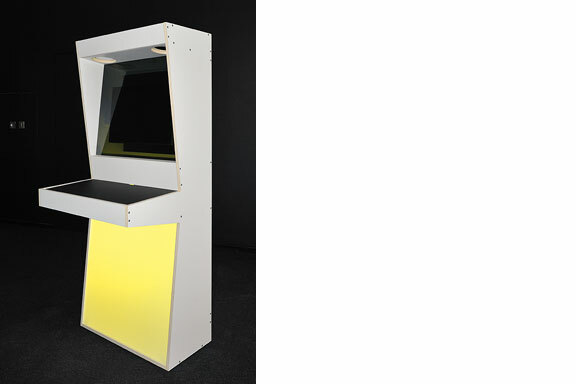 The bottom part is filled with 2 matte white sheets of plexi. If you put multi-colour LED lights inside the bottom part, you can illuminate these sheets with any colour you like. The version that is showed here does not have any controls on the control panel. This is because companies that show games at Indigo bring their own controls. They make games for all platforms like Playstation, Xbox, iPad, PC etc, so there is no standard set of controls. At the moment we are finding out the best way to sell this version to those who are interested in a DIY arcade cabinet.